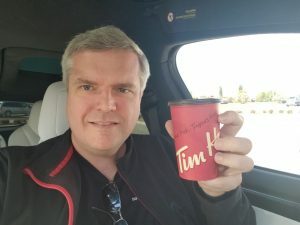 James Locke, the President of the Vancouver Island Tesla Owners’ group freely admits, “I’m a little nuts.” When it comes to road trips in their Teslas, both James and his wife Lisa are the champions! 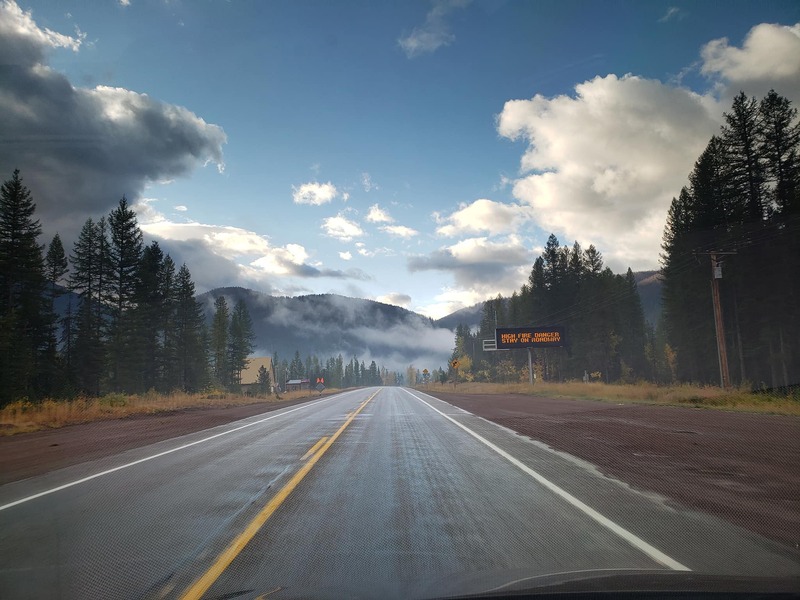 Where most of us would do 400-600 kilometres a day, they often double or triple that distance on their road trips. 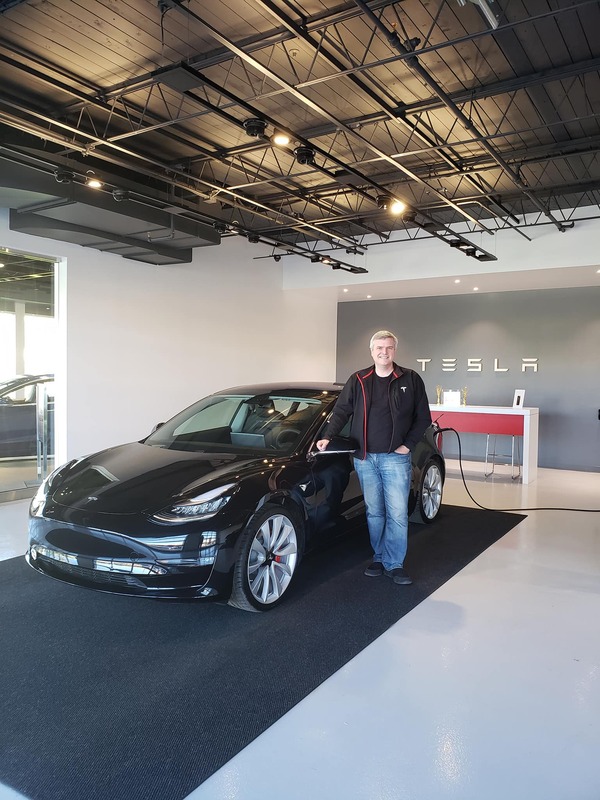 James recently reported in after completing the first segment of an epic road trip as he arrived in Calgary, Alberta from Charlottesville, Virginia – taking a mere 3.5 days. 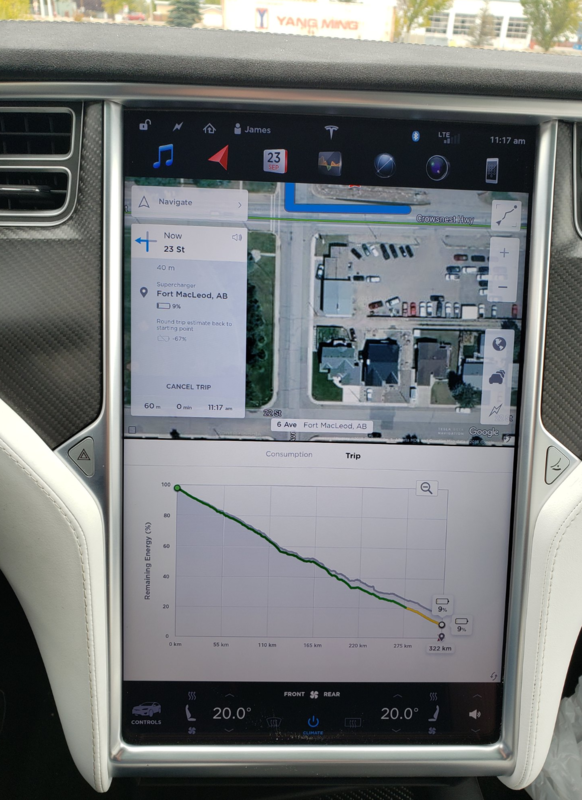 After taking delivery of a new Tesla Model 3 in Calgary, you will see by the map that he is just getting started on what he expects will be a 37-day road trip around North America and into Canada’s north during October, covering some 22,000 kilometres! 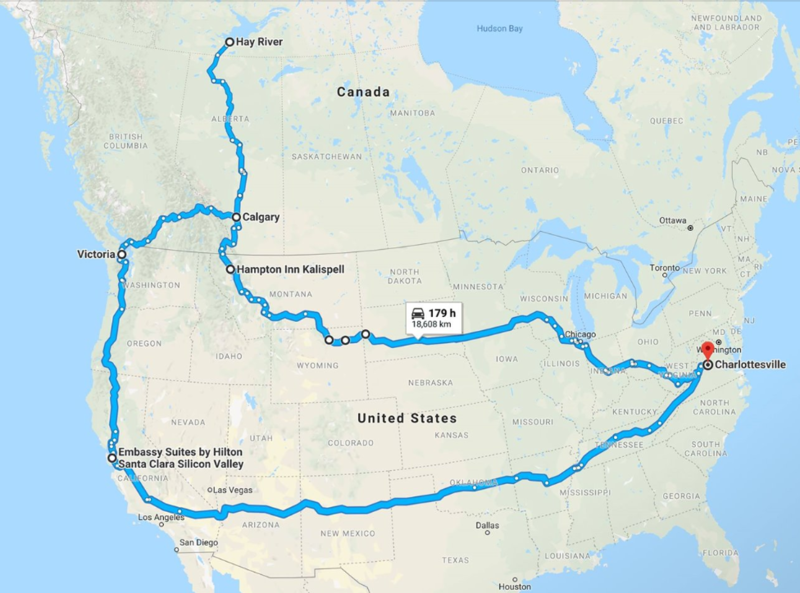 As many of you noticed I just drove 4,637km from Charlottesville, VA to Calgary, AB in 3.5 days. This is the first leg of what will be, by far, my biggest road trip to date. 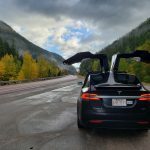 On Tuesday I pickup our Tesla Model 3, once I get winter tires installed and 3m Paint protection installed I am completing a road trip totalling approximately 18,608km from Calgary, and I’m doing it all in the month of October. 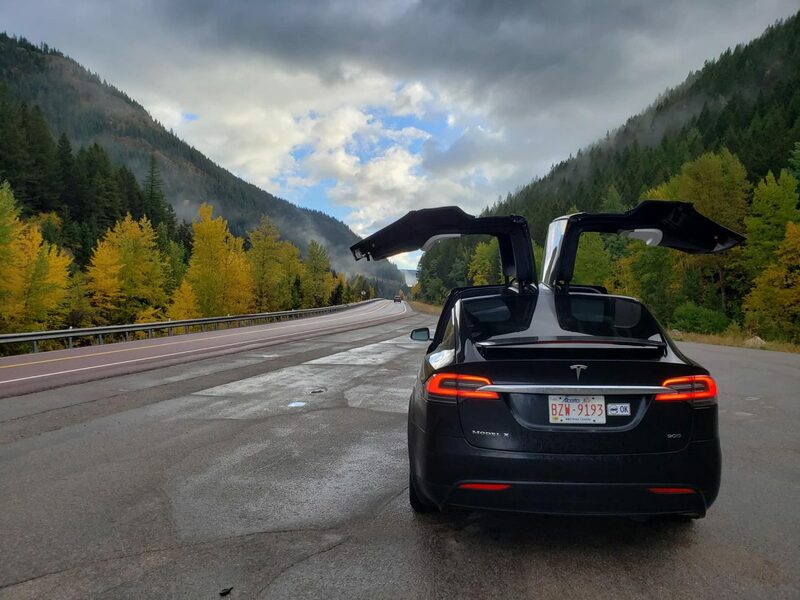 On Thursday September 27th, if all goes as planned this week, I leave Calgary to go back to Charlottesville, I’m home with my family for 7 days and on Sunday October 7 I drive 4 days to Fremont, CA for a Tesla Owners Club leadership summit. I am in California until Oct 13 when I drive back with friends (who are joining me in California) to Victoria, BC for a couple of nights. 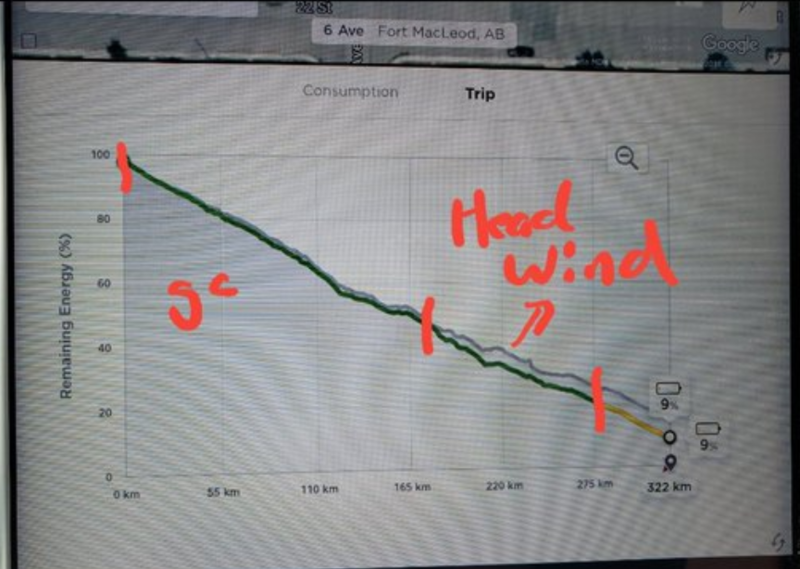 Oct 16th or 17th I drive to Calgary and from there I will possibly drive our Model 3 to Hay River, NWT for 10 days or so of work. This will depend on weather conditions to the North. 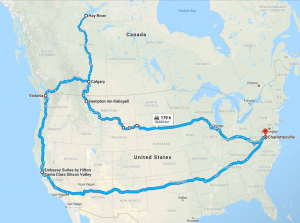 On approximately October 28th or 29th I leave Hay River and drive all the way back to Charlottesville, VA to finish the road trip that will exceed 22,000km in ~37 days. 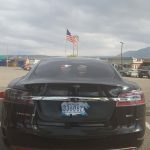 I’m doing this 100% electric and I’m doing this to show just how much you can do with an EV and not worry about a thing. I will have to have zero maintenance done, I will not spend anything on power and I will probably get home and be happy to do more driving. 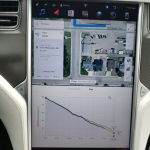 Arrived at the Fort MacLeod, AB Supercharger with 9% range left. 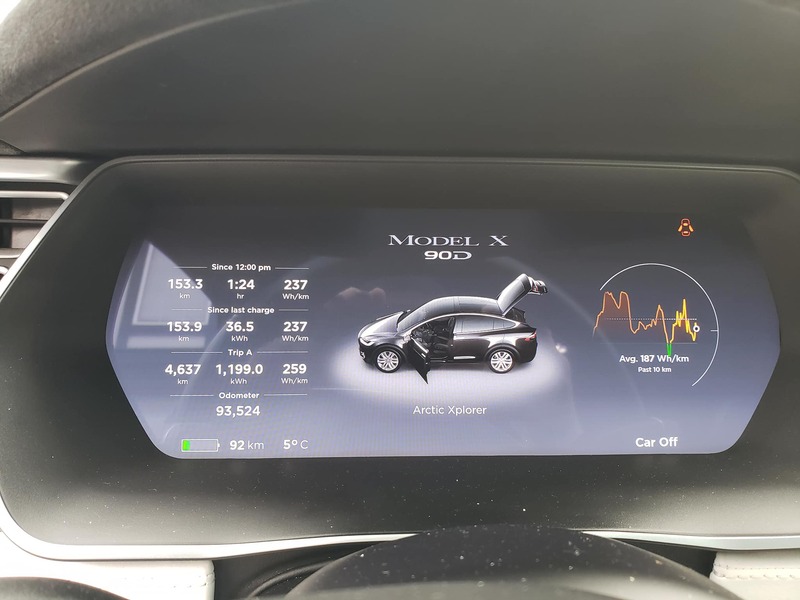 Used range mode and slowed down to conserve power. 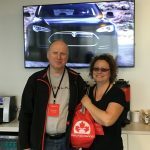 Victoria Tesla owners met in Langford before convoying up the Island Highway to the social event for owners hosted by Tesla at the Nanaimo Supercharger on October 22, 2017. 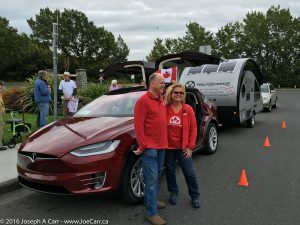 Rolf, Silke and friends met at Mile Zero in Victoria, British Columbia on June 11th to give a suitable send-0ff to our favourite Tesla owners as they start their venture across Canada in their Tesla Model X electric vehicle towing a Safari trailer. 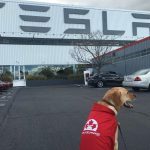 Their dog Kye is along for the inevitable adventures they will encounter as they drive across this great country of ours in the summer months. 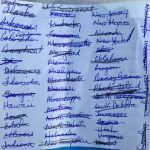 Their route will take them through many of the provinces of Canada: their home province of British Columbia, Alberta, Saskatchewan, Manitoba, Ontario, Quebec, and the Maritime provinces. The major milestone has to be the “other” Mile Zero in Newfoundland! 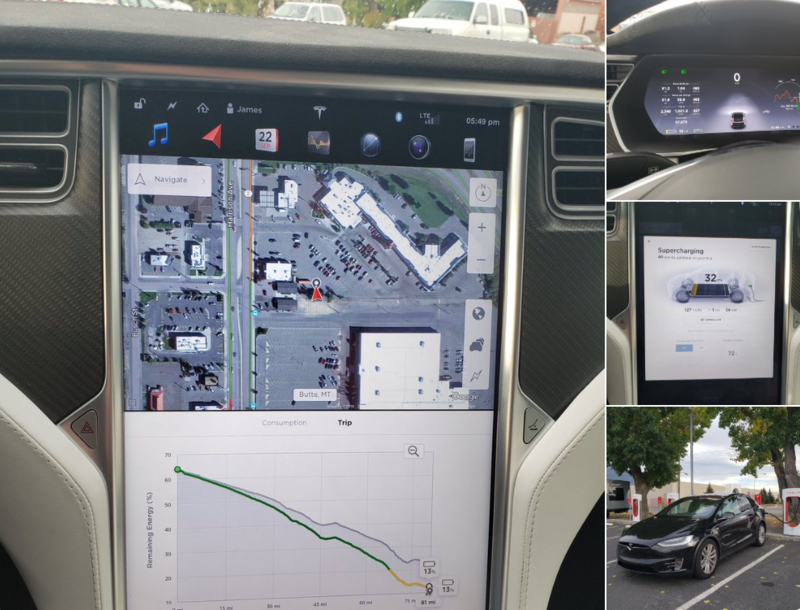 Several Tesla owners on Vancouver Island have done road trips in their Model S vehicles. 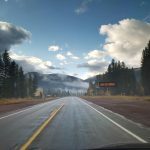 Three road trips taken by our members are profiled below (newest first), but if you know of more road trips (planned or already driven), please leave a comment! 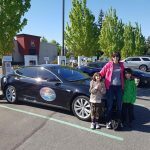 May 2016 – James, Lisa and family drove some 10,400 kms across the USA to participate in Tesla Roadtrip 2016, a well-organized event of Tesla enthusiasts. 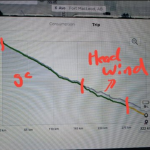 The Lockes left Victoria on May 5, 2016, and took a direct route to the event (and back). 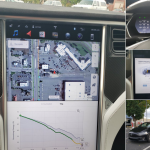 Check out Lisa’s very detailed online report on the Victoria EV Club’s website. January 2016 – Silke, Rolf, and their dog Kye drove diagonally across the USA to Fort Lauderdale to get to their winter escape destination: sailing in the Bahamas. 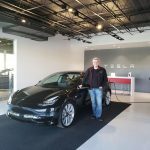 Rolf sold his older Model S through Tesla Vancouver while they traveled in Silke’s newer Model S from the west coast to the east coast. 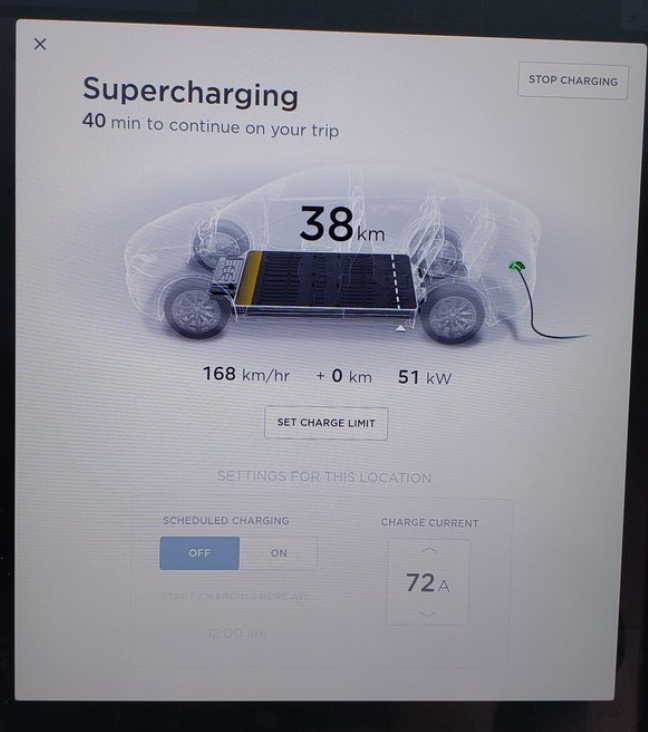 They report they didn’t spend a single cent on recharging for the entire trip! 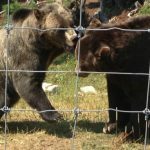 They have returned home to Victoria, but they are already planning their next road trip, and it will be a “first”. 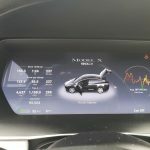 Check out their TeslaXCanada for details! You can help them spread the word via Facebook, Twitter, YouTube and Instagram and be sure to check out all the great videos and photos! 2014 – Not to diminish the road trips described above, but Spud’s road trip was pretty ambitious! 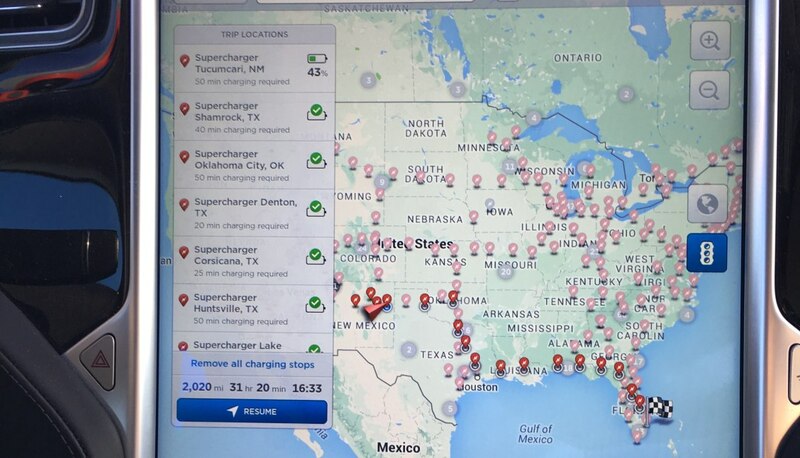 In 2016, Tesla’s SuperCharger network is pretty well developed in North America, especially in the USA. 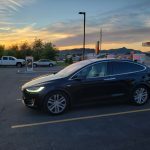 When Jeremey and Laura drove their trip in 2014, the Tesla SuperChargers were largely just promises, with stations installed near major cities and only one trans-continental route across the northern USA. 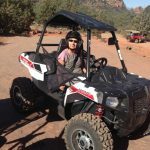 So this Electrik Trek faced challenges…and Jeremey documented it all! 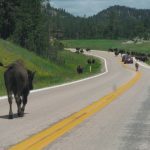 Spud’s route went from Victoria down to Sedona, Arizona, then back up through Chicago to New York, New Jersey and Washington, DC, before crossing back into Canada at Niagara Falls. 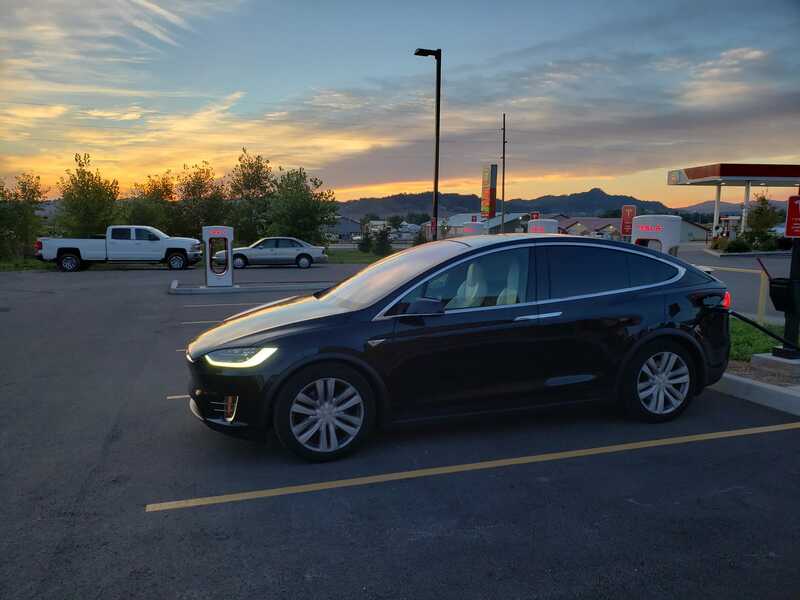 But wait, after spec’ing out the route through Ontario sans SuperChargers, Spud opts to head back south through the good ol’ USA and the SuperCharger network! 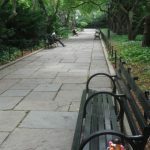 They eventually loop back into Canada, heading through Winnipeg, Edmonton and other locales in the Prairies visiting family, before returning to home in Victoria. 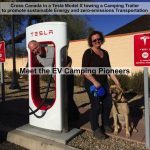 The total cost of driving this 17,500km (10,900mi) trip, using 3,400kWh is $47 for recharging, not including those tolls on the east coast! 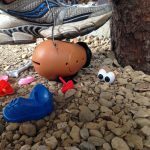 Spud is kidnapped somewhere in Canada! 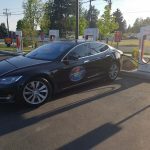 Joe Carr on New Supercharger in Nanaimo! Huddie Bennett on Finally, a public presence for Tesla owners on the Island! 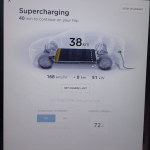 David Lewis on New Supercharger in Nanaimo!